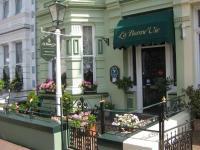 Overlooking St Aubin's Bay in St Brelade is the 3 star Au Caprice Guest House. Providing a unique blend of traditional hospitality with comforts of home, the small family run guest house is ideal Jersey holiday accommodation. All bedrooms are en-suite and available in a variety of types: Double, Double with Sea View, Double Sea View & Balcony, Triple, Twin and Twin with Sea View. Built at the end of 19th century, this award-winning Victorian house is just 50 meters from the beach and 5 minutes' walk from the town centre. Howard Davis Park is just round the corner from the property. 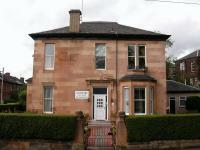 Set in the quiet Dennistoun Conservation Area, less than 2 miles from Glasgow city centre, Craigpark Guest House is a Victorian townhouse offering airy bedrooms and Scottish breakfasts. Less than 10 minutes' walk from Shepherd's Bush Underground Station, the Royal London Hotel has a 24-hour front desk. The O2 Shepherd's Bush Empire, a music venue, is less than 5 minutes' walk away. In Edinburgh's historic New Town, Ardenlee is an elegant Victorian town house an easy walk from Princes Street. It has free Wi-Fi and free parking when confirmed. Most of the spacious rooms at the Ardenlee have an en suite bathroom. In a quiet residential area of St. Julians, this family-run guest house is a 5-minute walk from the lively nightlife district of Paceville. It offers air-conditioned rooms and an open-plan bar and restaurant. 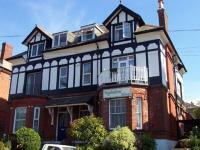 The Ingledene Guest House is located in Bournemouth, England. 500 metres from the beach 600 metres from Bournemouth Central Station One mile from the Bournemouth Eye Three miles from Bournemouth Airport Hotel Features. Breakfast services (surcharge) Room service Tour assistance Complimentary parking Guestrooms. Situated in Acton, London Guest House is just 15 minutes' walk from North Acton Underground Station. The family-run guest house offers free parking and a free continental breakfast.